Easing traffic in a megalopolis with severe road congestion. Making daily travel easier for 22 million people. Designing a comprehensive mobility project with the city's first metro line at its core. Ensuring levels of quality, hygiene, and safety that meet the highest international standards. Promoting the development of Mumbai by supporting local charities. The 22 million inhabitants of Mumbai and its suburbs relied on a run-down bus system plagued by road congestion. It became crucial to make travel easier and overhaul public transit in the city. RDTA, a joint venture of RATP Dev and Transdev Asia, took on the comprehensive mobility project. The high point was the city's very first metro. From design to construction, nothing was left to chance, including supplier relationships and safety certifications. RDTA recruited over 600 people as drivers, security agents, sales staff, and customer relationship managers. All were trained and prepared to meet quality and safety standards of international caliber. 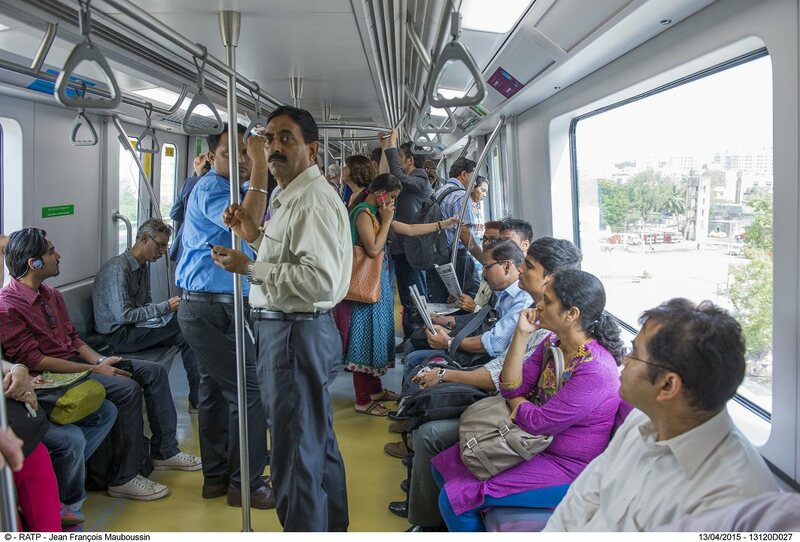 It was all done to a tight deadline, with the opening of the first metro line in 2014. Since then, innovation for the benefit of passengers has been a daily feature on the line. For example, new ticketing and flow management systems cut the waiting time at ticket counters to under 120 seconds and at automatic exits to under 70 seconds. The metro is completely built on an elevated viaduct. It links Mumbai's eastern and western suburbs over a distance of 11.4 kilometers. All 12 stations radically changed the quality and type of mobility on offer, benefitting the 142 million passengers transported annually. RATP Dev also attaches importance to participating in endeavors that directly benefit local communities. For example, the RATP Foundation supports A Roof in Bombay, a charity that helps children in the slum of Jamrushi Nagar. Through this charity, girls receive sponsorship and school scholarships, and a refurbished school bus acts as a Day Care Center. This is all of benefit of the wider community.